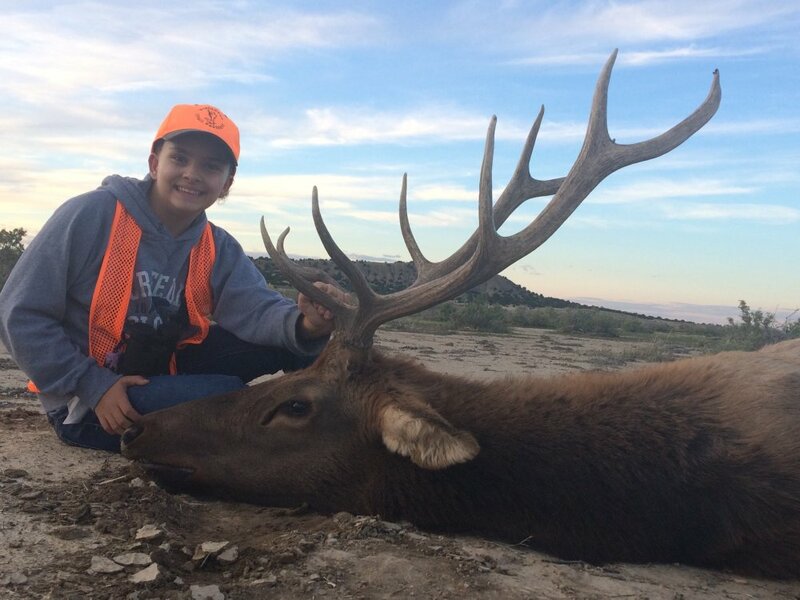 The hunt is conducted on 10,000 acres of private ranch land approximately 35 miles southeast of Trinidad, Colorado consisting of mesa country, open prairie and foothill country with scrub oak and pinion-juniper tree hillsides, 6,000 ft. to 7,000 ft. in elevation and is prime elk and mule deer habitat that supports a resident population year round. Lodging will be in Trinidad with all meals provided. You will be responsible for transportation to Trinidad, Colorado. Licenses will be available by redeeming landowner vouchers that are drawn by the ranches. Licenses are also available through the Colorado Parks and Wildlife drawing. Deadline for applications this year is April 2nd. There will be 1-2 deer hunters in camp for this hunt. This hunt is conducted on 10,000 acres of private ranch land approximately 35 miles Southeast of Trinidad, Colorado consisting of open prairie, foothill country with scrub oak, and pinion-juniper tree hillsides ranging from 6,000 ft. to 7,000 ft. in elevation and is prime elk and mule deer habitat that supports a resident population year round. Licenses are through the Colorado Parks and Wildlife drawing for the first rifle season and over the counter for the second rifle season. The deadline for applications for this year is April 2nd. There sometimes are leftover licenses available to purchase in August. There will be 1-2 elk hunters in camp for this hunt. Licenses are over the counter through the Colorado Parks and Wildlife. This hunt is conducted on 42,000 acres of private ranch land approximately 40 miles east of Trinidad, Colorado consisting of dry prairie land ranging from 5,000 ft. to 6,500 ft. in elevation and is prime antelope habitat that supports a resident population year round. Hunters will stay in Trinidad or can camp at the ranch. You will be responsible for your own food, lodging and transportation to and from the ranch. You will also be responsible for using your own vehicle for use during the hunt. Licenses can be purchased through the Colorado Parks and Wildlife website or when you arrive in Trinidad. All archery licenses are over the counter licenses.